How do you tell people you have Cancer? How do you tell your family? Why do some people not acknowledge I have cancer? Will I have chemotherapy first or radiotherapy or both? When the treatment is over – what happens now? Will my oncologist tell me about nutrition? How much, and what type of exercise should I take? Very importantly – I do not hail from a medical background. I have no medical qualifications and I am not a nutritionist. However, I have been in the “healthy” food industry for many years and I am passionate about the subject. I feel that to cope with Cancer, apart from your gold standard treatment, you also need to address: your emotions, spirituality, exercise and nutrition. All those combined together make the whole thing so much easier to live through. If there is one thing that resonates more in my mind than anything else it is this: “It Is What It Is”. 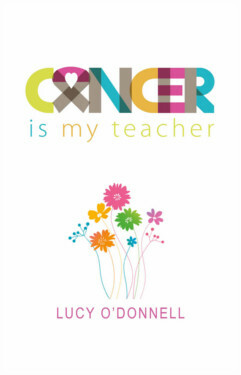 Once I realised that, which was quite early on, and after some fantastic courses and meditations, I came to the conclusion that “Cancer” really WAS my “Teacher”.